In a sign of Wall Street’s resurgent influence in Washington, Citigroup’s recommendations were reflected in more than 70 lines of the House committee’s 85-line bill. Two crucial paragraphs, prepared by Citigroup in conjunction with other Wall Street banks, were copied nearly word for word. (Lawmakers changed two words to make them plural.)" As we previously reported, on May 7th, nine deregulatory bills sailed through the House Financial Services Committee. We wrote about one of them, HR 992, and this particular bill garnered only SIX "nay" votes, out of SIXTY-ONE total representatives on the Committee. 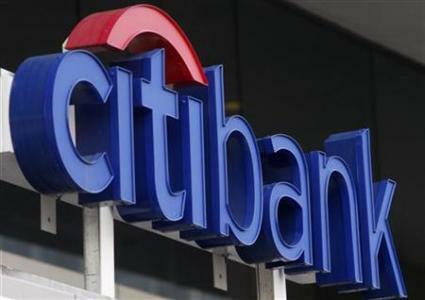 "Citigroup and other major banks used a similar approach on another derivatives bill. Under Dodd-Frank, banks must push some derivatives trading into separate units that are not backed by the government’s insurance fund. The goal was to isolate this risky trading. The provision exempted many derivatives from the requirement, but some Republicans proposed striking the so-called push out provision altogether. After objections were raised about the Republican plan, Citigroup lobbyists sent around the bank’s own compromise proposal that simply exempted a wider array of derivatives. That recommendation, put forth in late 2011, was largely part of the bill approved by the House committee on May 7 and is now pending before both the Senate and the House." Citigroup was responsible for the death of Glass-Steagall, which led to the free-wheeling and casino-lifestyle that caused the 2008 Financial crisis. Citigroup mismanaged their firm and loaded up to the hilt with toxic mortgage products, requiring a massive taxpayer bailout. And if that weren't enough, they also received a total of $99.5 Billion in secret loans from the Federal Reserve after the crisis to avert their own ruin. And now, they're writing our laws to tear down even the paltry protections put in place post-crisis. America: Brought to you by Citigroup.